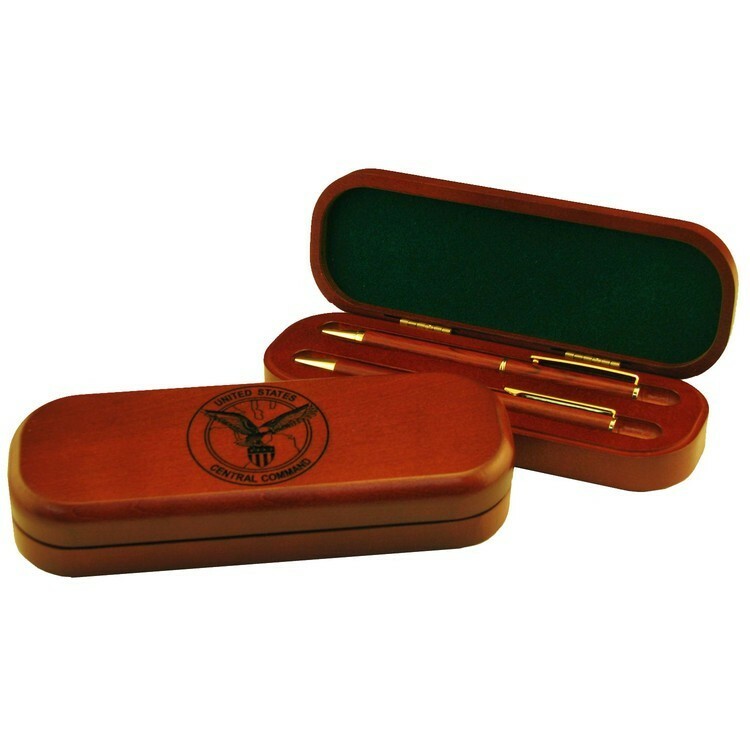 These solid wood boxes with brass hinges are precision milled to each instrument. 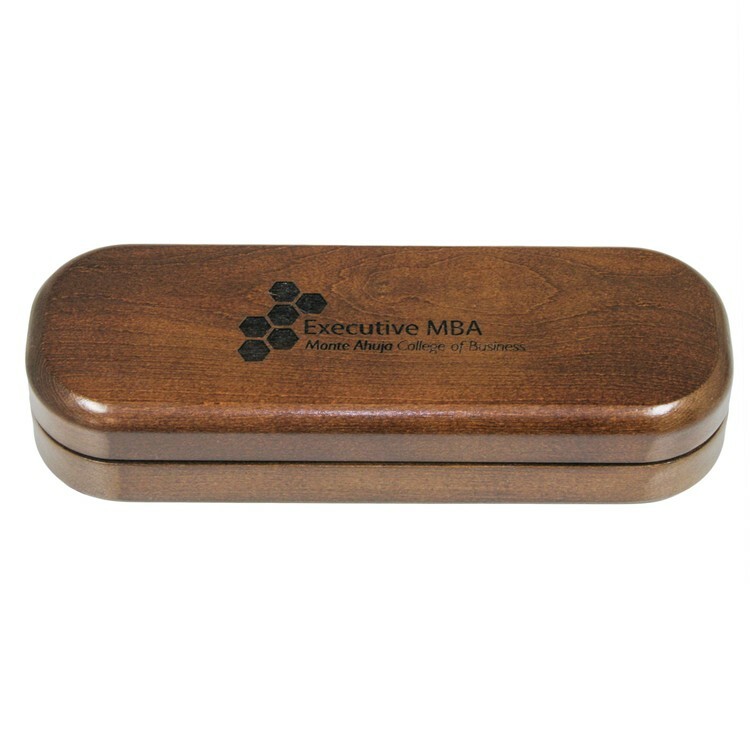 The black, blue, navy blue or burgundy flocking inside the lid adds protection and value. Don't forget that individual names can be laser engraved into the matching wood instruments for that added personal touch (additional charge). Available in walnut, rosewood or maple. 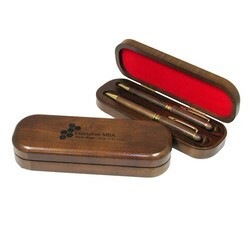 Substitute a letter opener for the pencil at no charge (walnut or rosewood only). 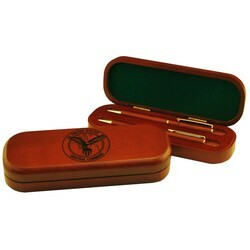 7" x 2 1/2 x 1 1/4"
Price includes a one position laser engraving, flocked insert, matching pen and pencil and gift box.